Almonty is an international tungsten company with ongoing projects in Australia, Korea and Portugal. 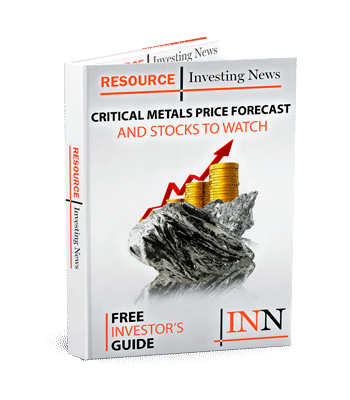 Almonty Industries (TSX:AII,OTCMKTS:ALMTF,FWB:1MR) has announced the ore sorting equipment has arrived at its Panasqueira mine in Portugal. The equipment was released by customs last week and the entire installation has now arrived at the mine. This installation is being assembled under an agreement with Cronimet of South Africa. It will allow additional reclamation of the coarse fraction tailings and will result in a production increase of about 10 percent in the Panasqueira mine. The industrial tests are forecasted to run during the 2nd half of August 2018 and the commissioning of the installation is forecasted for late August 2018. “We have overcome difficult times and used the time wisely to lay the foundation for the success we have now. I would like to take this opportunity of thanking all our employees for their dedicated work and our shareholders for their continuous support as well as patience. Now it is time to reap the benefits of our hard work while global tungsten prices are at four year highs with APT price recently breaking through US$350/MTU, further enhanced by current foreign exchange rates (CAD$460/MTU). The days of cheap tungsten are long gone and we’ve entered new territory now. Improved market conditions are being realized in the results for the business and we look forward to sharing our results with the financial community in August 2018,” said Lewis Black, president and chief executive officer of Almonty.